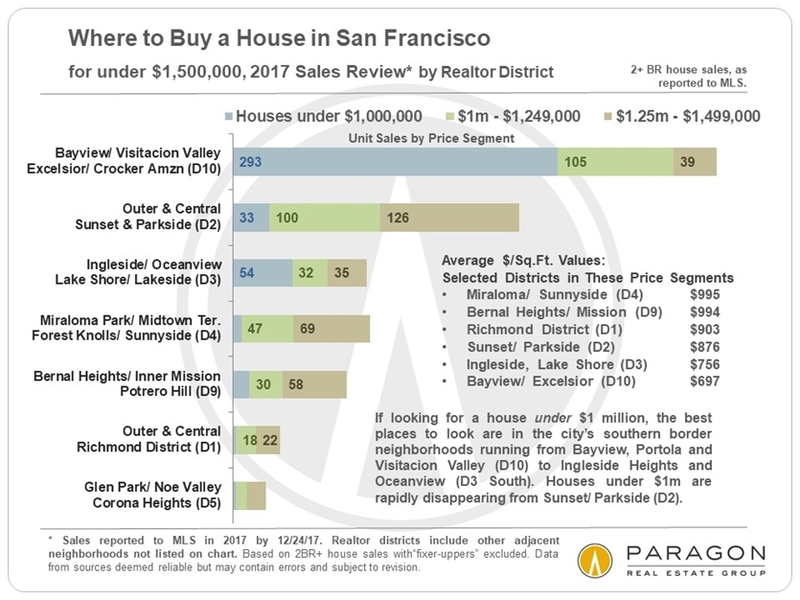 By any measure, the heat of the San Francisco market in the first half of 2018 has been among the most blistering ever. Probably only 3 or 4 other periods over the past 50 years have seen a comparable intensity of buyer demand versus the supply of listing inventory available to purchase. This despite both significant increases in interest rates and changes in federal tax law severely limiting the deductibility of mortgage interest and property tax costs. As mentioned before, the market is particularly ferocious in the lower and middle-price segments of house sales. Appreciation is typically viewed through the lens of percentage changes, but looking at the actual is perhaps more visceral. Let this number sink in: $205,000. 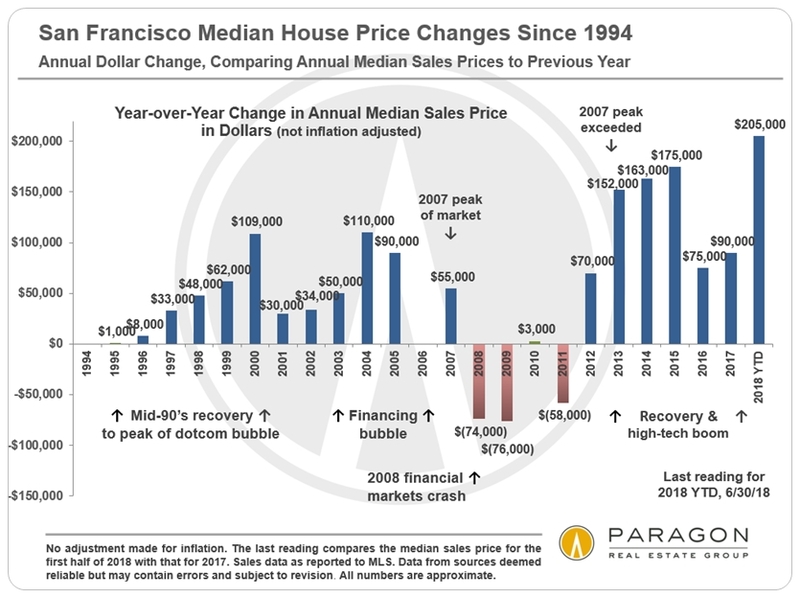 That is the increase in dollars when comparing the first half of 2017 to the same period in 2018 for a median-priced single family home in San Francisco. For condos it is a modest (!) increase of $71,000. 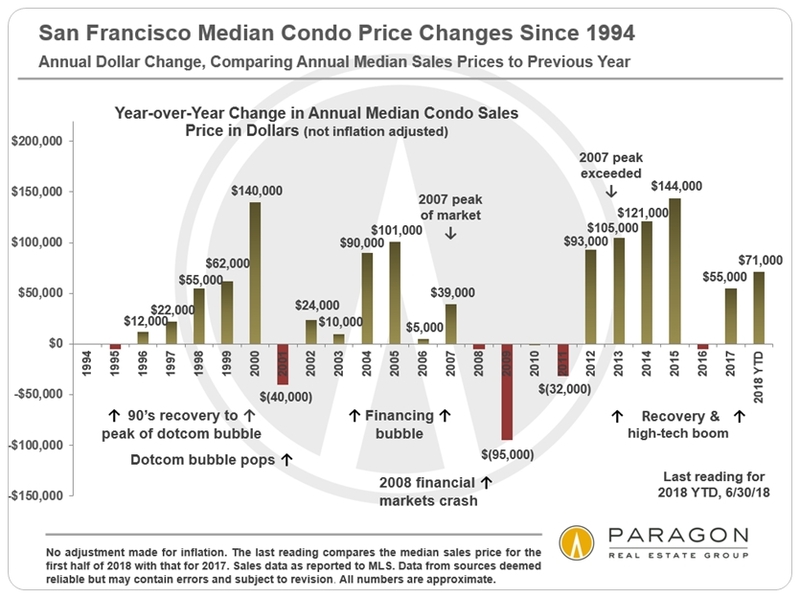 These two charts below measure dollar increases in annual median sales prices for houses and then condos. The last columns in each chart measure 2018 YTD median sales price increases against the 2017 median sales price. The subsequent charts show how far your money goes in different neighborhoods.